The Australian Cattle Dog is a high energy, medium sized breed that continues to be used for cattle herding in Australia and the United States. Also known as the Blue Heeler, Queensland Heeler, or simply Cattle Dog, the Australian Cattle Dog breed was designed specifically to work in the hot climate and large landscape of Australia. In the 1800’s Australian ranchers found that the European herding breeds they were using weren’t suited to the unique demands of herding cattle in Australia. Cattle were often spread out across vast, rough terrain. Australian ranchers began crossing the blue merle Collie with the Dingo, a canine indigenous to Australia. From there, breeders introduced Dalmatian stock hoping to incorporate the Dalmatian’s natural protectiveness and good horse sense. Lastly, Kelpie blood was brought into the line to heighten their working prowess. The result was the Australian Cattle Dog breed. A breed that had the natural herding sense of the Collie, the horse sense and protective characteristics of the Dalmatian, hardiness of the rugged Dingo, and work drive of the Kelpie. The standard for the breed, drawn up in 1897, emphasized its Dingo characteristics and is still in use today. The Australian Cattle Dog breed was formally recognized by the AKC in 1980. As befitting a cattle dog bred for working the harsh Australian outback, the Australian Cattle Dog is a hardy, extremely intelligent breed. Bred to work independently across large ranches, the Australian Cattle Dog still exhibits a tendency towards independence today. They are tenacious and untiring workers, not stopping until their job is done. As such, Australian Cattle Dogs need actual work to do, or else their boredom can lead them to exhibit restlessness and poor behavior. They are great for working on a ranch or large property, but not ideally suited for apartment living. The protective streak of Dalmatians still runs deep within the Australian Cattle Dog, making them alert protectors of their family, flock, or herd. One notable trait of the Australian Cattle Dog is that they were bred to be silent workers. The original breeders didn’t want them barking excessively and frighten the half-wild cattle they were herding, so barking was considered an undesirable trait. This continues to this day, with Australian Cattle Dogs rarely barking, and often only barking to give warning. Lastly, while the Australian Cattle Dog is has an independent temperament, they are also known to have very affectionate and loving personality around their family. The Australian Cattle Dog needs to be trained from the moment it is brought home. This breed is an independent thinker and will be stubborn at times, so a firm but patient hand is required when training. They are, however, considered very easy to train due to their innate intelligence and speed with which they can pick up commands and tasks. They have deep critical thinking skills, and can execute routine tasks on a farm or house with no supervision. To have a content Australian Cattle Dog you must provide it with work to perform. This can take the form of complicated tasks or puzzles during training, but it should be kept up on an ongoing basis throughout their entire life. The Australian Cattle Dog is an extremely high energy breed, so they require plenty of exercise. If you don’t own a ranch, expect to take your Cattle Dog on a strenuous jog or long workout every day. This is essential to keep them happy and avoid any difficult behavior. Australian Cattle Dogs will need mental exercises in addition to physical ones. Combining the two is highly recommended. If you don’t provide enough stimulation for your Cattle Dog, they will most certainly let you know. A healthy breed, an Australian Cattle Dog lifespan typically ranges between 12-15 years. How Popular is the Australian Cattle Dog? The Australian Cattle Dog is currently ranked as the 54th most popular AKC registered breed. Their firm position as a moderately popular breed is most likely a result of their strenuous exercise needs and their suitability for working ranches and farms. This breed will not enjoy, or thrive, in an urban or apartment setting. To fuel them for their high-energy demands, Australian Cattle Dogs will require a high-quality diet. Look for a food brand that contains a balance of proteins, vegetables, and fats to provide total nutrition. Avoid foods with grain-based fillers such as soy, corn, and wheat, as these are difficult for dogs to digest and often lead to allergies. Australian Cattle Dogs weigh between 35-45lbs, so an average diet would be between 2-2 ½ cups of dry food a day split into two even meals. 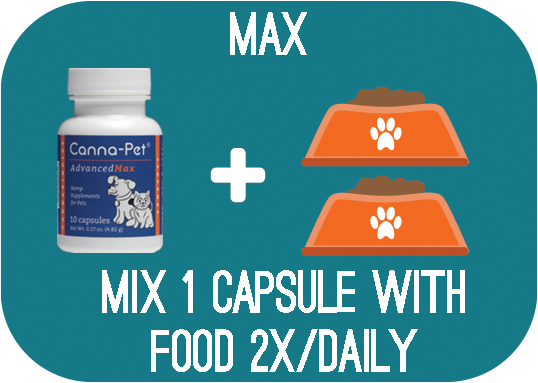 Adjust this amount if you have a particularly active Cattle Dog that is burning a large amount of calories every day. The Australian Cattle Dog has one of the most unique, and beautiful appearances of any breed. They come in two different colors; blue or blue-mottled that may contain other markings, and red-speckled. Their coarse, short haired double coat has very low grooming requirements. Give them a good brushing on a weekly basis to remove any dead hairs, and trim their nails regularly. Are Australian Cattle Dogs Good With Children? Australian Cattle Dogs are known to be great with kids, with one notable exception; they have been known to nip at the heels of running children. This Australian Cattle Dog behavior is mostly due to their long performance as herders. This behavior can be trained out of the Cattle Dog by demonstrating to them that humans are not appropriate for herding. Children should also be trained to not run full speed by your Cattle Dog, so as not to antagonize them. Besides their predisposition to nip at heels, Australian Cattle Dogs make the ideal playmate for children. They have a high enough energy level to tire out even the most energetic child. They are playful, alert, and protective guardians of children. Lastly, they are also extremely affectionate with children, and bond to them closely. Hip Dysplasia: Hip dysplasia is a condition that affects a number of dog breeds and commonly occurs in the Australian Cattle Dog. This condition occurs as a result of a malformation in the connection between the femur and pelvis in the hip assembly. This malformation is characterized by a loose connection in this ball-and-socket joint, which causes the cartilage that pads the two bones to wear unevenly over time. As the cartilage between the femur and pelvis wears unevenly, scar tissue and bone spurs can form. Over time the formation of scar-tissue and bone spurs becomes extremely painful and results in debilitating arthritis and lameness later in life. Owners can have their Australian Cattle Dog tested at a young age by a veterinarian to see if they have hip dysplasia. While the majority of cases of hip dysplasia are the result of genetics, it is believed that excessive jumping or rough play during adolescence can also lead to this condition. Elbow Dysplasia: This is very similar to hip dysplasia, except it affects the fore limbs of the dog. Elbow dysplasia is a malformation in the elbow joint at the connection between the radius and ulna. Similar to hip dysplasia, this malformation results in a loose connection and uneven wear on the cartilage that pads these two bones as they move and rotate. This leads to the buildup of scar tissue and bone spurs, and results in severe arthritis and lameness later in life. This can be an extremely painful condition. Physical examination of the elbow joint at a young age by a veterinarian can let you know if your Cattle Dog suffers from elbow dysplasia. Progressive Retinal Atrophy (PRA): PRA is a degenerative disease that affects the retina in both eyes of a dog. In affected dogs the photoreceptor cells within the retina begin to deteriorate. Because the photoreceptor cells are responsible for the ability to discern light, the first sign of PRA will be difficulty discerning objects in low or dim light. As the deterioration progresses it will result in increased loss of vision, eventually resulting in full blindness. PRA is a hereditary disease, meaning it must run in your Cattle Dog’s line for it to be inherited. As such, it is highly recommended to check with your breeder before adopting to find out if PRA has even run in their line. Reputable breeders will have their dogs checked for PRA, and not breed those that have it. 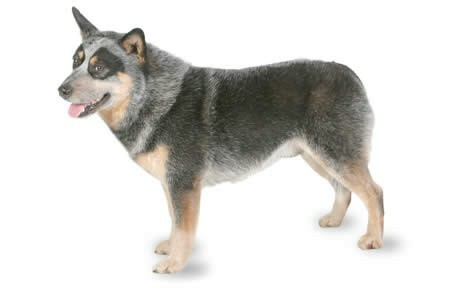 Deafness: Australian Cattle Dogs have been known to suffer from congenital hereditary sensorineural deafness (CHSD), or rather deafness that is inherited rather than acquired through illness. CHSD occurs shortly after birth before the ear canal opens. The exact cause is unknown, but it is believed that an inadequate blood flow to the cochlea results in death of the sensory nervous cells, resulting in total deafness. As the name suggests, CHSD is an inherited disease. Researchers are not yet sure whether the gene carrying CHSD is recessive or dominant, so when looking to adopt an Australian Cattle Dog inquire with the breeder whether deafness runs on either side of their line. Patellar Luxation: Patellar luxation is a condition characterized by the dislocation of the kneecap (patella), from its normal resting place in a groove on the femur. This dislocation can be extremely painful, and is often treated surgically. Although patellar luxation occurs most frequently in teacup and miniature breeds, it has presented in some lines of Australian Cattle Dogs. The primary indication that the Australian Cattle Dog health Problem is present is sudden lameness in the front limbs. Shaking of a front leg, an inability to place weight on that limb, or obvious signs of pain are also common signs of patellar luxation. Osteochondritis dissecans (OCD): OCD is a condition that results in the abnormal development of cartilage on the end of a bone. With OCD the cartilage becomes inflamed and separates from the bone, causing extreme pain and lameness in the affected limb. OCD most commonly affects the shoulder, but can also affect other joints throughout the body such as the knee, elbow, or hip. The most common sign of OCD is a limp, noticeable swelling in the affected joint, and pain when the area is touched. Treatment of OCD depends on the severity of the damage to the cartilage and whether the cartilage has completely detached from the surface of the bone. In cases where there is only minor damage to the cartilage, affected dogs are usually given anti-inflammatories and placed on a regimen of strict rest. In more severe cases where the cartilage has separated from the bone surgical intervention is necessary. Thank you so much Canna-Pet! You have no idea how many smiles and comfort you bring to our pets (and their owners!). You have a customer for life! They have helped improve his behavior and let him stay at home, out of his kennel, without incident. Everyone noticed she came back to life, was less anxious, was more vivacious, stopped wetting herself, and went 8 months without a seizure! It became quite clear that she was getting her ability to move back, and it helped her temperament immensely. Canna-Pet has calmed him enough that he no longer spins in his crate!